While South Carolina Representative Joe Wilson made all the headlines for calling President Barack Obama a “liar” during a joint session of Congress, MeetPete only had eyes for Republican Whip Eric Cantor, who was caught on camera twittering as the president spoke. There comes a time when social media becomes downright “unsociable” and traditional general sessions become a relic of the past…Speaking of which, credit actor Hugh Jackman with a “new twist on improvisation” during a Broadway preview of A Steady Rain. Jackman openly confronted an audience member whose cell phone rang during a performance. According to a report in The New York Times, Jackman stepped away from a moment of high drama and turned to ask: “Do you want to get that?” Perhaps it was Representative Cantor calling. A sign of the times: The Center for Exhibition Industry Research reported a 13.5 percent decline in key metrics, including exhibit space sold, in the third quarter of 2009. With exhibitions a lagging indicator and a robust recovery still uncertain, it’s going to be a long, slow haul to get back to pre-recession numbers. The Peabody Orlando offered continuing education units (CEU) when it hosted its first Customer Education Familiarization trip in October. Attendees earned .3 credits. Guess who’s coming to dinner? 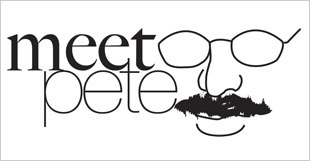 MeetPete, a Year 2000 inductee, will be attending the CIC Hall of Leaders fete in Dallas next month. Among the CIC honorees is Preston Robert (Bob) Tisch, one of the true ambassadors of the hospitality industry. Congratulations also to long-time friends Tom Mobley, Jerry Wayne and Terry Breining on their well-deserved induction. And finally, my thanks to everyone who contributed to the launch of Meeting Mentor Online. The complexity of the project was way beyond my pay grade and proved, once again, the value of being surrounded by people smarter than yourself.